Like many Augusta University students, Amelia Wolfe doesn’t spend a lot of time hanging out on campus after classes are over. Trouble is, there aren’t many convenient places to go, which explains why Wolfe drove a mile and a half from the Summerville campus into the city’s medical district Thursday afternoon just to enjoy a leisurely coffee at the recently opened Dunkin’ Donuts on Walton Way. But she isn’t the only college student who’ll be spending more time in the city’s medical district. The loosely defined area centered around 15th Street and Walton Way will soon be teeming with hundreds of undergraduates just like her when the first phase of new student housing is finished this year at the university’s Health Sciences Campus. Some say the infusion of students is giving new vitality to one of the city’s oldest commercial zones. “We think that this area is definitely going to make a strong comeback over the next five to 10 years,” said Brian Byler, who opened his Diablo’s Southwest Grill franchise last month in a 14,000-square-foot strip center he developed at 1022 Walton Way to house his other business, Integrity Medical. Byler said he had been leasing space across the street next to the recently constructed Augusta Judicial Center, but he and his partners decided to buy and build rather than risk getting priced out of the market in the future. 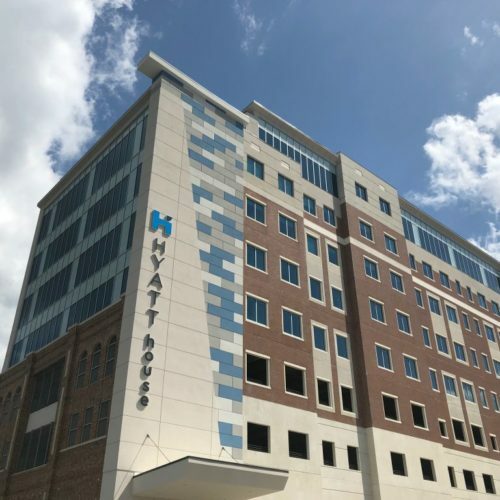 “With the growth in the medical district, we realized that if we didn’t build we eve\ntually would be looking for space and have trouble finding it,” he said. His Tex-Mex restaurant has been jam-packed on most days since it opened, and the same can be said for the months-old Dunkin’ Donuts/Which Wich Superior Sandwiches co-located store at 1640 Walton Way. Kitchen 1454 owner Edward Mendoza said he only closed the breakfast-lunch eatery on Walton Way so he could focus on Cucina 503, his fine dining restaurant in the Martinez area. Mendoza said he is currently negotiating with a national restaurant chain interested in leasing the building. “If they don’t reopen something there, I’ll eventually open something there myself,” he said. WITH THE POSSIBLE EXCEPTION of Fort Gordon, no other region in the metro area rivals the medical district’s employment density. City leaders have estimated more than 20,000 people – nearly 10 percent of the entire metro labor force – work in or around the district’s major health care institutions, which include Georgia Regents Medical Center/Children’s Hospital of Georgia, University Hospital, Charlie Norwood VA Medical Center, HealthSouth Walton Rehabilitation Hospital and Select Specialty Hospital. Health care workers provide the district daytime and weekday business traffic, but the infusion of undergraduate college students will generate greater demand on nights and weekends. The student housing project near 15th Street and Laney-Walker Boulevard – a public-private partnership between the University System of Georgia and Rhode Island-based Corvias Campus Living – will add 500 mostly undergraduate beds and swell the 24-hour student population to 720. Howard said the university’s 10-year master plan includes provisions for additional residential facilities within the campus’ existing footprint. The dorms are the latest in a building boom that kicked off in 2008, when demolition of the Gilbert Manor public housing project allowed the campus to expand southward. The 15-acre tract is home to the university’s four-year-old Dental College of Georgia complex and the J. Harold Harrison M.D. Education Commons building, which is currently under construction. And work is gearing up on the 78,000-square-foot M. Bert Storey Research Building project to renovate and expand the existing cancer research building and connect it to the adjacent clinical cancer facility via enclosed walkway over Laney-Walker Boulevard. Everyone in those buildings is a potential customer for nearby businesses, Howard said. THE DISTRICT’S SIX HOSPITALS have more than 1,500 patient beds combined. That should be enough to attract a hotel developer, said Dennis Trotter, a partner in Jordan Trotter Commercial Real Estate, which brokered the Dunkin’ Donuts/Which Wich deal. Trotter noted the three hotels operating in the medical district are older, exterior-entry design properties. “Surely there is enough visitors and patient family members to support a business-level hotel,” he said. A hotel would be a key addition to the 10 acres of prime commercial property the Medical College of Georgia Foundation is trying to redevelop at the corner of 15th Street and the John C. Calhoun Expressway. The foundation isn’t in the real estate business per se, but it wants to see the Kroger-anchored Central Square Shopping Center that it received through donation in 1997 rebuilt as a more upscale commercial zone – something to make the district inviting to out-of-town hospital visitors and offer the growing number of students, faculty and staff with places to eat, shop and congregate. Though the district’s streets are lined with bank branches, drugstores and fast-food chains, they also have title pawn shops, dollar stores with barred windows and a dialysis center. 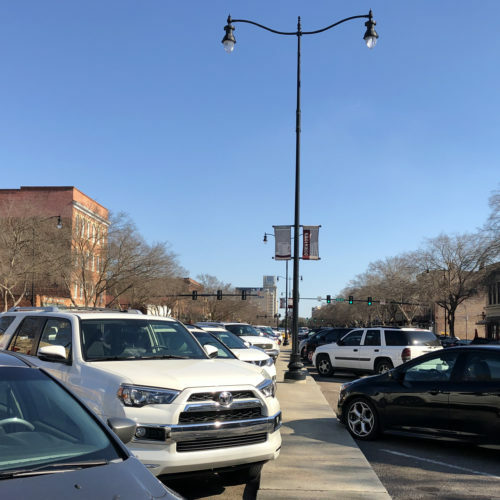 Amber Routh, an Augusta University communications instructor, said she discovered the downtown campus’ less-than-collegiate atmosphere when she moved to Augusta from Virginia three years ago. In addition to a university-affiliated hotel/conference center, student- and visitor-friendly amenities on the property would include casual dining restaurants, several small shops and a new grocery store to replace the Kroger, which hasn’t seen any substantial renovations since it was built in 1983. 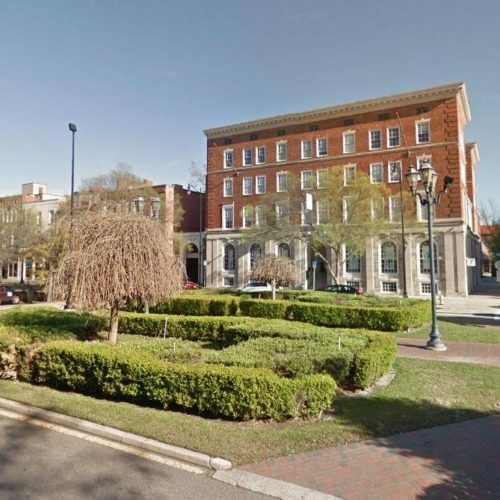 Medical College of Georgia Foundation officials say the property would be enhanced by the future 15th Street corridor improvement project, which would create landscaped medians and underground utility corridors to get rid of power poles. Foundation officials say work at the site can’t begin until they acquire the 3.5-acre Augusta Public Transit depot next to the shopping center. The foundation has an agreement with the city of Augusta to purchase the land once it relocates the “bus barn” elsewhere. Deputy City Admin­istrator Chester Brazzell said the city is moving as fast as it can to move the depot, but the process will likely take 18 months to two years because of challenges in finding a suitable replacement property. “If these were small vehicles, we could have been out of there lickety-split,” Brazzell said. IF COMPLETED, the foundation’s Kroger-bus barn redevelopment would unseat the new 106-unit Canalside apartment complex as the medical district’s largest private commercial development in recent years. 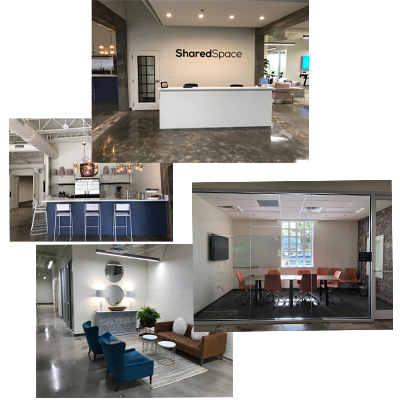 The multimillion-dollar upscale residential community developed by Charlotte, N.C.-based Lat Purser & Associates has achieved a 90 percent occupancy rate since opening in June, company Senior Vice President Jack Levinson said. 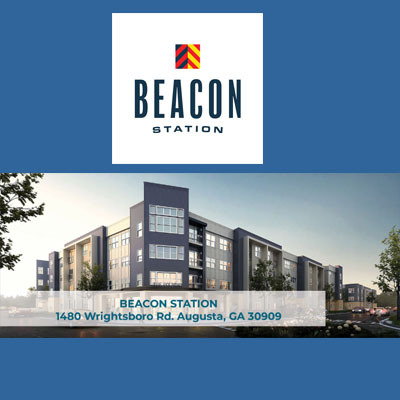 Levinson said residents range from medical district employees and students to Fort Gordon contractors and professionals with suburban offices; their only commonality is a desire to live in a modern urban environment. 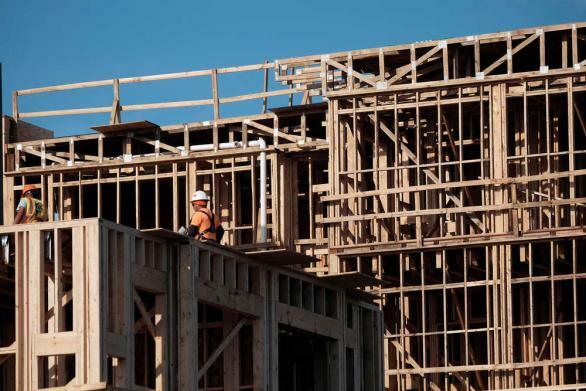 He acknowledged the project is seen as a barometer of the district’s potential to attract more upwardly mobile residents – a component that’s necessary to any urban area’s revitalization.